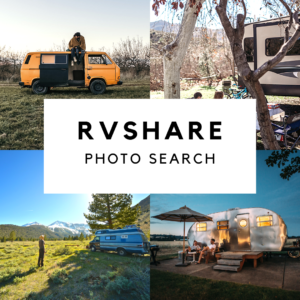 We are looking for beautiful photos for our homepage that show how wonderful RV life can be! 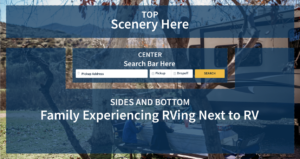 Our ideal picture would have the exterior of the RV in the background, scenery or something neutral at the top, family or friends enjoying the outdoors in the foreground corners, and a nice break in the middle so that we can put the search bar there without it getting too busy. If you think you have a photo that fits what we are looking for, or are up for the challenge of taking a new one, we would love to see it! 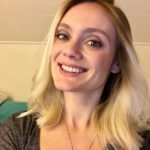 If your photo is chosen, you will have your work featured on the homepage of a website that has over a million visitors per month. You will also be receiving $150 compensation for the rights to use your photo. If your photo is selected, you will be sent a release form to fill out which will allow us to use your image on our business webpage. No limit on the number of submissions, so feel free to submit as many as you would like. Top: Neutral background, possibly with scenery. Nothing too eye-catching or with bright colors. Center: This is where the search bar will go so we want to avoid a super busy scene. Sides/Bottom: We want to see the RV and a family or group of friends having fun and enjoying the outdoors. Lighting: Any time of the day as long as the RV and the family/group of people are clearly visible. We can’t wait to see some of your amazing photos! Thanks for your help.